Make your internet presence as important as it should be for your business by hosting your website with us. We can give you the reassurance that your website is always up and running, after all, missing out on web visitors with a poorly performing website is something that all companies want to avoid. 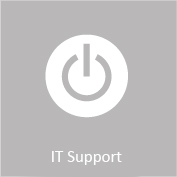 We have a straightforward support package for our web customers supporting both web and email, meaning only one call to our support desk is needed to resolve any issue with your environment. One of the key benefits for you as our customer is that you can take advantage of the strategic partnerships we¹ve developed with major solution vendors, giving you access to premium solutions without the price tag. We also work with a number of freelance web developers. So if you are in need of a new website we can take the hassle away from you by offering a completely packaged solution: a brand new, up to date, fully hosted web presence.